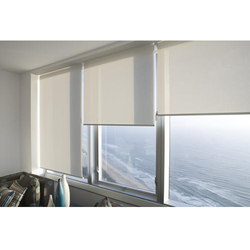 Pioneers in the industry, we offer window blind, wooden blind, roller blind and vertical blind from India. 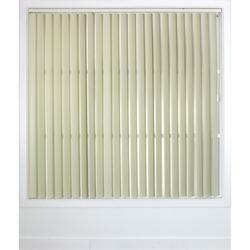 Our company has achieved widespread recognition in providing Window Blind to the clients. This Window Blind is highly praised for its smooth texture and easy installation. Moreover, only quality tested high-grade raw material is used in the production of this product. This product is stringently tested by our analyzers after production. 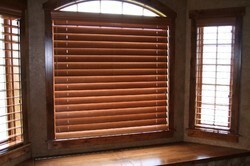 Wooden Blind is made of the finest bass wood. The wood used is stored in special chambers with constant relative moisture which ensure better stability of wood. 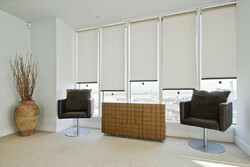 An experienced team of professionals allows us to provide an excellent array of Roller Blind. These products are available in different sizes and designs according to client-specific needs and are highly admired for their excellent quality and long life. Our offered blinds are precisely made using high-grade raw material and advanced techniques in tandem with the global standards. Curtain World, Vertical Blind offer unprecedented design freedom and have a vital role in determining and defining the overall look of your Office & Home. Curtain World Vertical Blinds are practical, Stylish and they offer great control over how much light is filtered into a room.